It’s that time of the week again, it’s #TST time… I’ve got a jingle playing in my head already 😆 … I need more sleep 🙄 ! 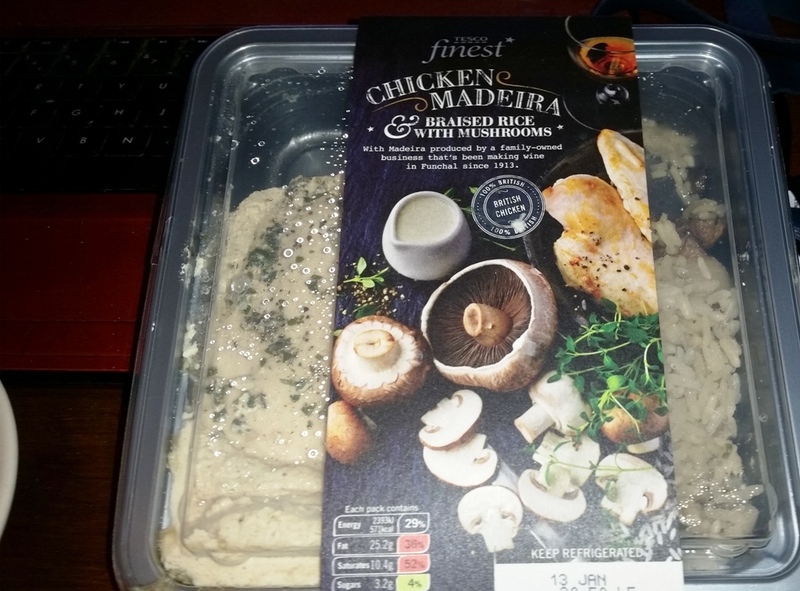 This was a ready meal I bought from Tesco some time ago, I don’t know what made me buy it because I’m not, as you know, a mushroom fan… I suppose I’m not a fun guy really 😥 ! Firstly the packaging was really clear, I don’t know if black and white meets RNIB “Clear Print Guidelines” but it looked classy and was clear to distinguish. Clear packaging makes distinguishing the product easy for people with a visual impairments. I apologise for the poor quality picture above 😳 , it does display the cooking instructions honestly! 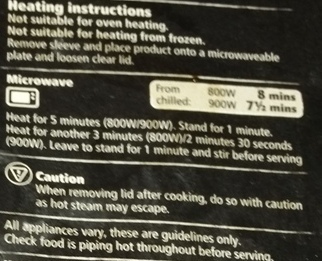 They were inappropriate for my microwave because it’s 700W, the instructions here were for 800W and 900W, I think companies should be more mindful that there are some older microwaves out there which only generate 700W and 750W. 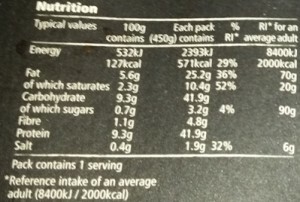 Again, apologies for the poor quality picture of the Nutritional Information above, I think I was having an off day! I have no idea what these statistics mean but there is 10.4g of Saturated Fats, and 1.9g of Salt. These seem high to me, although, as I said I’m no expert in these matters. What are your opinions on them, let me know? 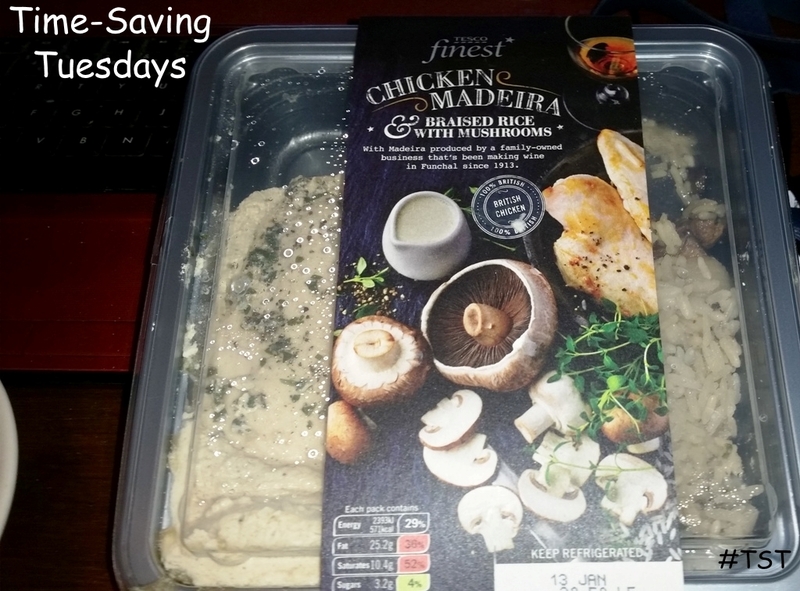 Tender British chicken breasts, in a creamy sauce, made with Madeira wine from a family business in Funchal. Served with delicious braised rice with chestnut, Portobello & button mushrooms. 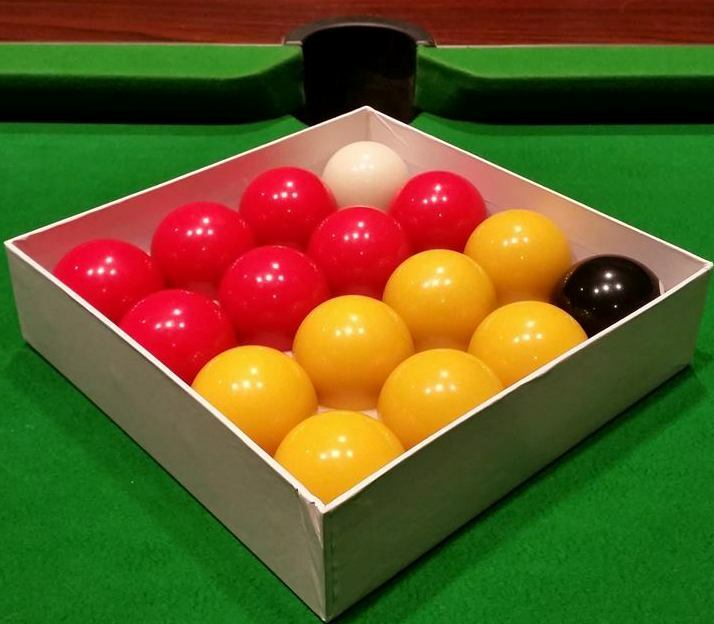 You’ve read in the past about the fact that I play pool on a Tuesday well we’ve got our last game of the season tonight. A lot of us have played together for a number of years and while this year has been the hardest in our current form results wise – we have a great team spirit and excellent atmosphere. We’re playing a top team in the league tonight, where are we bottom… let’s hope we get some points – good luck boys! Looks nice, will have to try it myself as a treat once I lose a bit of weight. As you said it’s probably quite rich and therefore a little fatty than if you cooked it yourself. I may even cheat and find a recipe to try it out myself. 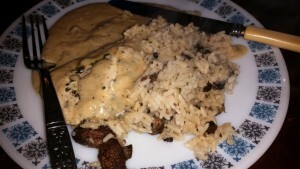 Thanks for your comment, you’re spot on, it was a great recipe but quite rich…. no good for healthy eating! 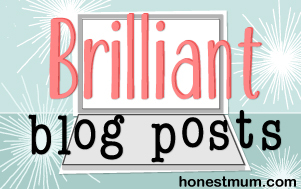 If you do find a recipe would you be able to let me know?